Anyeonghaseyo, how are you all? If you have not read about my previous post on my new favourite eyeliner that doesn't smudge, CLICK HERE! 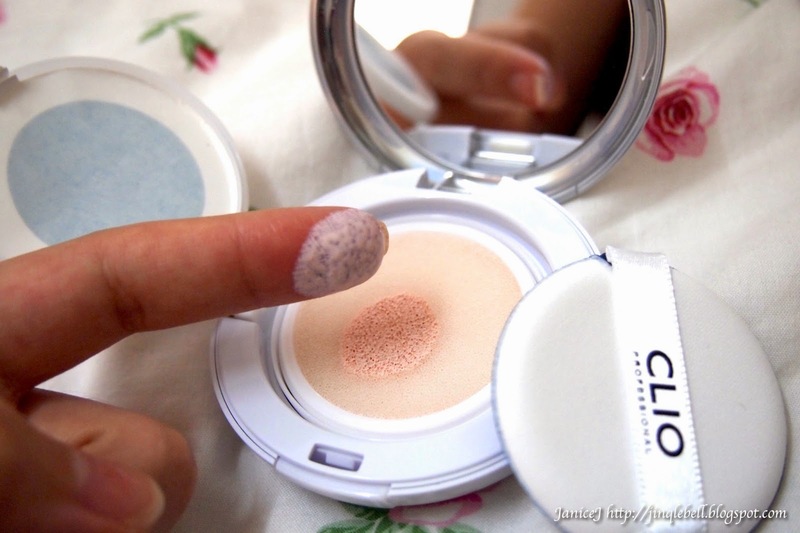 This blog post will be about CC Cushion. 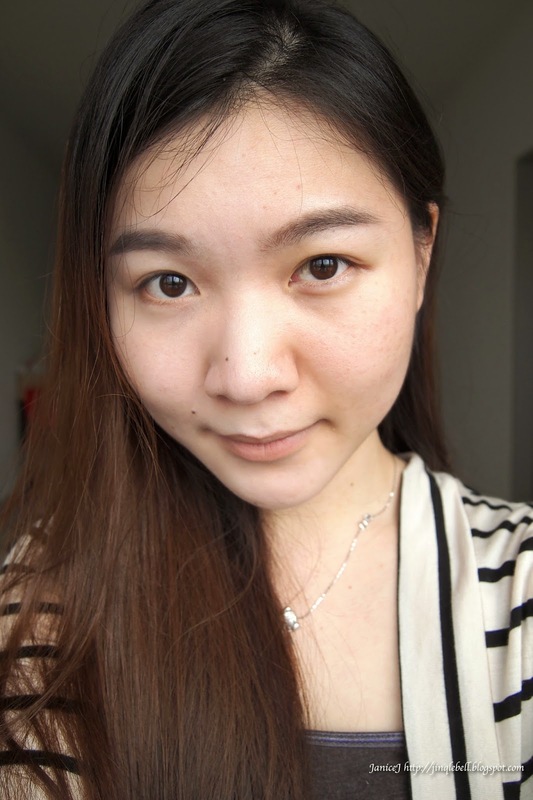 Recently I started to use cushion, as mentioned in my instagram, I bought the whitening BB one from Laneige. So of course, while writing this post, I will compare a little bit here and there. Before I start anything, I would like to comment on the packaging of CLIO VF21 Cushion CC. I really love how round and full when it sits on my palm. Other than that, the minimalist design with touch of pearl white make it stand out from my range of products. Love the shine don't you? CLIO Cushion CC comes in two tones, 01 in pink and 02 in beige. I would suggest those who want to get it to get the 02 Beige colour, unless, you are very very very very fair. I myself are quite fair and I always use the lightest tone when I am choosing my face products, however, I find 01 Pink to be too fair for me. I will get into the colour later in the post. Like other Cushion CC, it comes with a air puff with blue base. 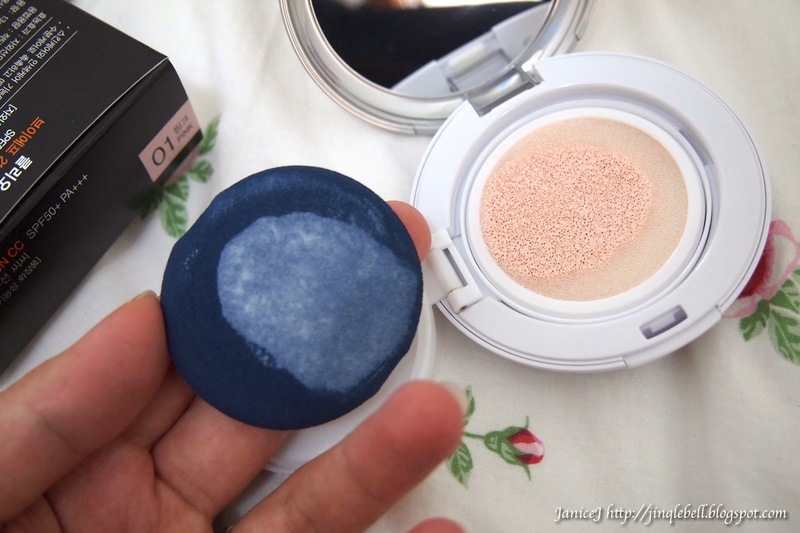 I am not sure why do all Cushion Compact comes with blue based makeup puff (except the one from Shiwashoo). However, the one here has great quality just like others. After flipping up the inner cap, there are one sticker to protect the contents from drying up. Peel it off and you are good to play with your Cushion CC. I applied slight pressure on the cushion and there are lots of products coming out. For all the first time user, I would suggest you to not press the puff too hard or you will ended up like me, getting too much of the products. A little is good to go, the amount on the puff are actually enough for a whole face application. 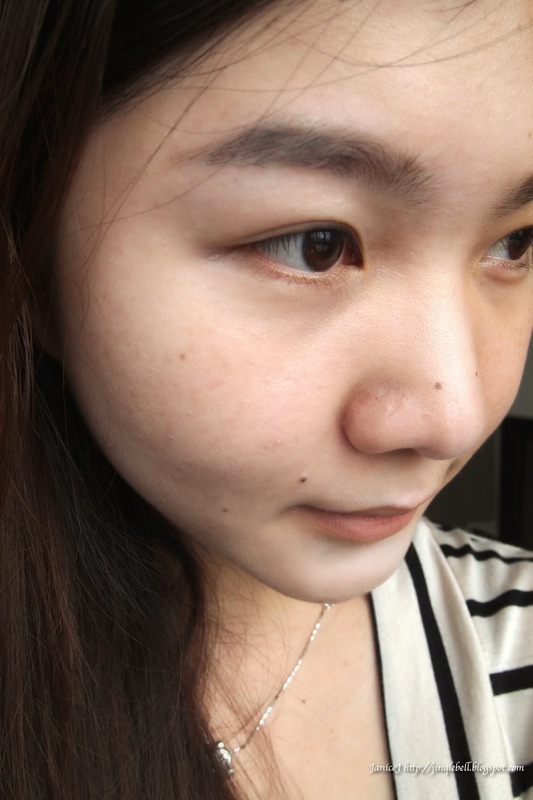 I did a half face application, where the fairer side (left) are with CLIO Cushion CC, and on the right side are my bare face. 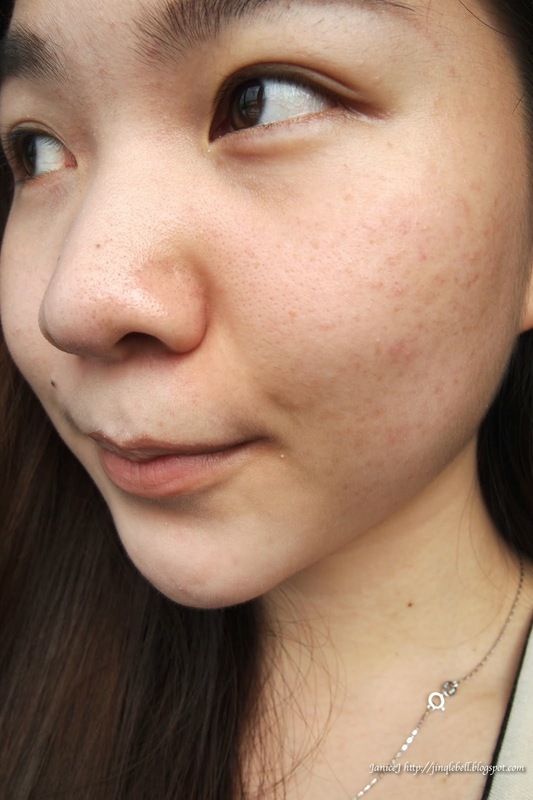 Half face without Cushion CC. Half face with Cushion CC. 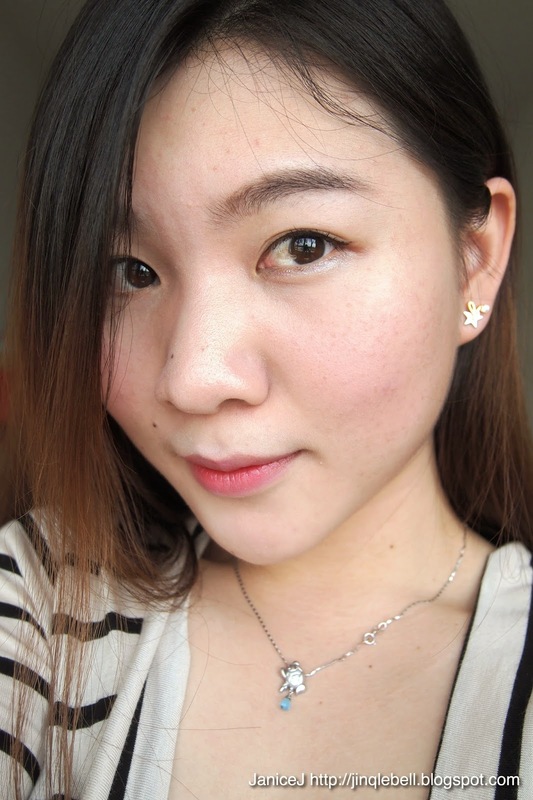 In overall, CLIO VF21 Cushion CC in 01 Pink did really brighten up my face. 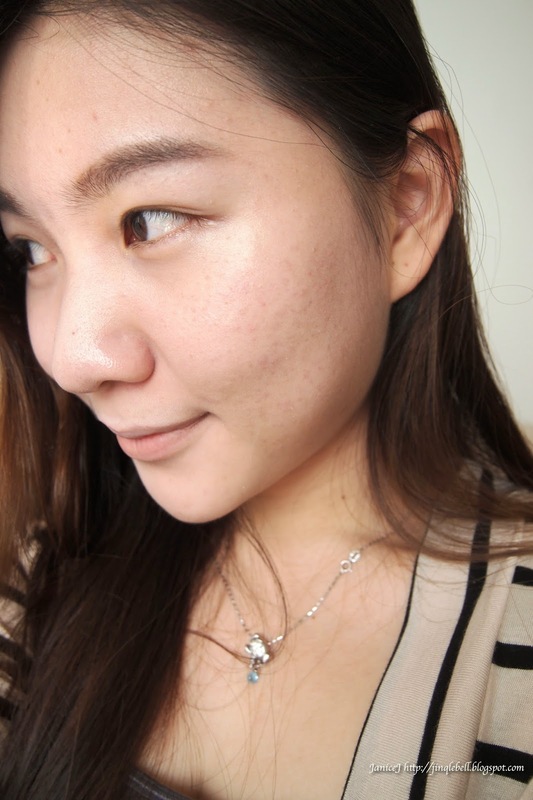 However, the product are more suitable to people with yellowish skin tone (mine is reddish skin tone) so that it can neutral up the skin colour. It offers light to moderate coverage compared to BB Cushion in the market, since it is only CC cushion to correct the skin tone. However, it is cheaper than other options(BBs) in the market (almost halves of their price! ), and it does a good job in providing sun protection. 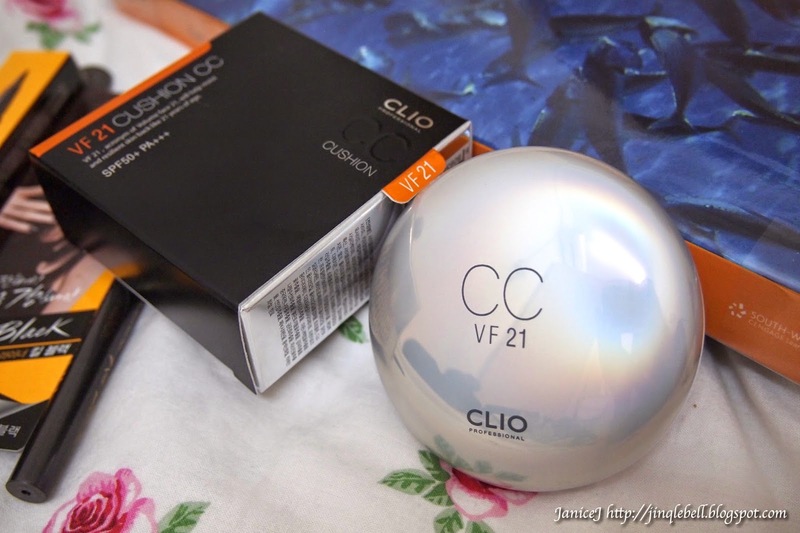 CLIO VF21 Cushion CC has a high SPF50+ PA+++ that is good enough for daily use. 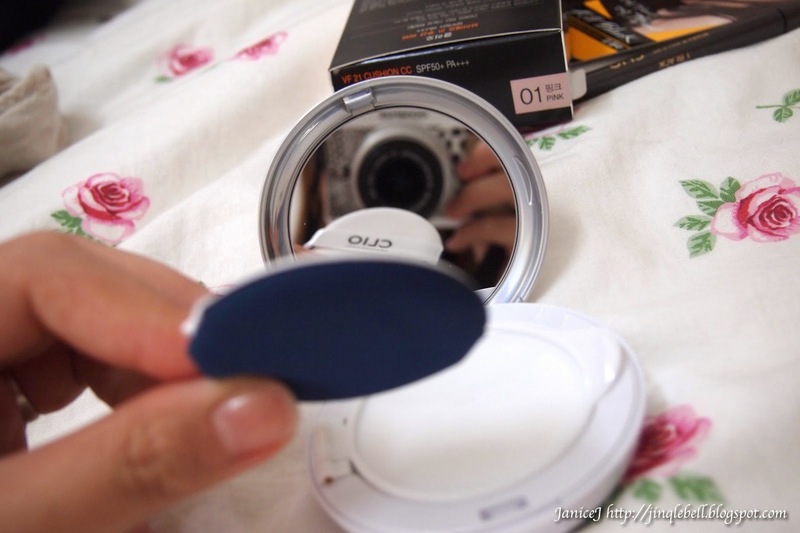 Also, the compact size gives you convenience to touch up your makeup and sunblock at once. Since the colour is too white to me, I'll use it as highlighter for the t-zone. The texture of it is less oily and thinner compared to my Laneige one, suitable for oily skin or t-zone. Otherwise, I use very little amount of it, topped above my sunblock for maximum protection. You don't want sun spots don't you? CLIO VF21 Cushion CC is priced at RM119.90 RM89.90 from HiShop.my. Feel tempted? Here is my exclusive RM20 rebate for you! Just key in "CLIOMAY" upon check out. *with minimum purchase of RM99, valid until 31 July 2014.
or, you can key in "JINGLEBELL" upon checking out to enjoy 15% off specially from me! no minimum purchase hehe! In Indonesia where to buy the cushion?